Brought up on the game they play in heaven and fan of the world game too. Never played either well. The only disciplines I hold my own in are spectating and surfing waves. What a tangled web we weave. I have few memories playing No.5 as a kid. Hi JSJ, I love that observation about the Force. I believe fitness and mentality are instilled by a coach and it’s hard to have one without the other. But as you said about the laughing and carry on – I feel the same way when I see all the moustaches and haircuts in the Wallabies squad. The greatest players of all time in every game seem to have cared little about improving their personal “look” (think Carter, Campese, Johnson, Blanco, and in soccer Maradona, Ronaldo, and in golf Woods and in tennis Rod Laver and Margaret Court, to name a few) and instead focused on their own sporting abilities. I suppose that’s also a mentality thing – play well to be seen as a star, you can’t just look like one and expect to play like one. Thanks a lot for another chin-stroker and your excellent accompanying videos and images. Thoroughly appreciate this kind of intricacy. That substitute front-row pod worked very hard on and off the ball in the second half in Salta. I think there’s a real case for the Wallabies pods to improve their fitness to be able to enable the 1-3-3-1 tactic to be effective week-in, week-out. Constant movement creates options in attack and forces defenders to make choices (which can be wrong), but you need to have enough gas in the tank to reload over and over again. What are your thoughts on the Wallabies’ fitness over the full 80, from what you’ve seen recently? Thanks Cole, I reckon they know the tactic. It’s more a case of fitness, mentality and alternatives. Forward pods need to be fit enough to show up, backs need to be fit enough to be moving and they need to be cool headed enough to switch to Plan B if Plan A isn’t making progress. I’m afraid all of this – fitness, mentality and tactics – comes down to coaching. Cheers Bob – well I can’t speak authoritively on that but I suspect fresh legs make better pods. That Folau try in Salta was manufactured by a new front row pod who had only been on the paddock for six minutes. Me too Felix, and yes we’ll also need good luck. Thanks mate! Yeah the responsibility of the forwards is huge. To paraphrase and somewhat misquote Roarer Banjo – “sure as night follows day, being behind the poorer forward pack makes you part of the losing losing side. A key issue is fitness – just being able to be where the ball is and convince defenders that you need to be defended. Cheers! Our current forwards don’t have the fitness or handling skills to effectively execute the pod system, however both those things can be improved (probably not in time for the RWC) with coaching and training. Whether there is another effective plan for playing Test rugby that would suit their current work rate and skills, I’m not sure. I didn’t understand your ipad comment though?? 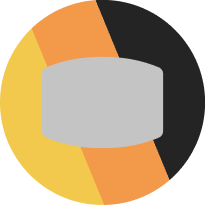 RugbyGeek, thanks for the props (both literally and figuratively! Yeah I’m with you on the Wallabies playing drills rather than what’s in front of them, and also their penchant for sending it wide in panic. The whole point of the 1-3-3-1 pod is to force defenders to make decisions – I don’t think the Wallabies have worked out how to do that yet. Seeing them run straight into the lines was not enjoyable, looked more like League to me. Whereas a mini horde of golden barbarians – Beale, Haylett-Petty and Koroibete – running with the pill looked so dangerous and unpredictable. Also, couldn’t agree more on the ABs, but I think that’s exciting. It shows they are trying new and radical tactics and if they fail they can go back to what they do best and clean up in the final quarter. Gotta give the Boks credit for holding on in Wellington because the ABs were coming home strong, just by playing simple rugby. Another two minutes and who knows how it would have ended up? Hi Bluffboy, that’s correct. The pod 1-3-3-1 pod must be spot on every time. Don’t forget the Boks and NZ use it pretty well. But you make a good point about a Plan B – the ABs also have a 2-4-2, and according to another top analyst Daniel Pugsley England use a 3-1-2. The tactical difference between all the tier 1 sides and Australia is that they seem to just switch to a different pod formation if one is not working. It was genuinely exciting to for me to see Folau (a really quick boy) suddenly pop up with the front row forward pod in my example above – even if he hadn’t scored that try, he would have drawn in the Pumas defenders and created some more space. Agile and fast forwards and backs make a huge difference in pods, hence my emphasis on the Wallabies’ fitness. Cheers mate! Hahaha – I think if all the Roarers were on the RA payroll or Cheika’s list the broth could be spoiled. It’s great that we all have the opportunity to share our thoughts on The Roar – hopefully someone at RA is secretly reading anyway! Thanks Hugo, it’s really interesting you mentioned Nick’s excellent article. I was actually inspired to write this piece by Roarer Conor Wilson’s fantastic analysis on the All Blacks running 10s. But Nick’s article is bang on the money as well. Cheers! Cheers Ozrugby Nut, I think it’s largely about established teams of forwards working together but I know some teams like to have mixed pods with strong forwards and fast forwards mixed with backline playmakers. I think the tactical advantage of that combination is shrewd as it is kind like sending your own minute rugby team into a defensive line. It’s very hard to defend against, especially when pods are running flat and their handling is pinpoint accurate. How do you know whether to concentrate on the big powerful guy (which may require two defenders to bring down) or the faster players who are better at hitting gaps. A mixed pod presents defenders with many dangerous options both in attacking runs and at the breakdown. Haha good one Harry – I think the Boks know how to really use the pods in attack. But they also possess a great range of playmaking options outside pods like contestable box kicks, cross kicks and grubbers. Having options in attack always gives great advantage because it makes them less predictable. Not mention their formidable defence. Cheers! Great point Bigbaz – the harder teams work off the ball makes their time on the ball so much more effective in every way. Haha – it sure seems that way! Yes mentality is exactly right Slats. Get that right, that self belief, and they are on the way. 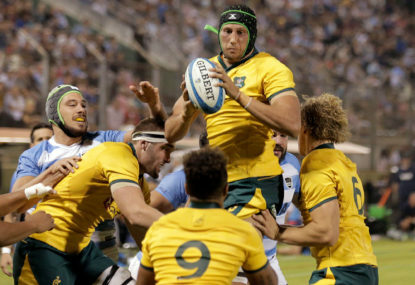 I think the Wallabies are their own worst enemy sometimes, they seem lack belief which dribbles into their game and stifles their ability to play as a team. Like you I don’t who is applying the pressure – but I think that a good coach can vastly improve mentality and ease that pressure. Cheers! Hi Sinclair, thanks for your comment. I believe you’re on the money with experimenting with players (if he persists with the 1-3-3-1 pods). 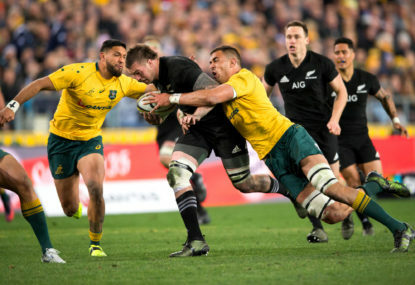 With Australian lineout and scrum already so hot and cold, and the forwards struggling to really pull off the pod tactic, I think trying different players could not make things worse. However, I’ll politely disagree about Scotland being comparable to France. Perhaps they can work on their second half finishing, but Scotland are becoming quite a dynamic and unpredictable side. They play a type of rugby I would be thrilled to see the Wallabies play, it’s very intelligent and nimble. In contrast, France are at a bit or a low point at the moment. Thank Tony, much appreciated. I’ve thought about your question, and to me, the issue must be coaching rather than personnel. It may be the best tactic ever, but if it is not working because either the personnel physically can’t pull it off (they don’t have the energy or skills) or they do not want to pull it off, or it has become to predictable to the opposition, then a coach must adapt. A coach can do many things in the above situations – they can change the tactics altogether, change the starting players or improve the mentality of the existing ones, improve their fitness and or skills, or even have a few different tactics to use for different situations. But doing the same thing over and over again and expecting a vastly different result is the definition of insanity. I know there’s Salta but I believe that’s the exception rather than the rule. Players can all definitely play rugby – but their skills, fitness, tactics, mentality and the final say on who gets a run (and where) are all dependent on the coach. Great yarn Gatesy, and good on ya for your Roar to arms! As a Mariners tragic from day one – who has watched my team sink from the heights it once occupied, I agree with many points here. But I strongly believe that without Bolt no one would be writing about the Yellow Submarine this year. At times over the years it has seemed like Australian football writers try their best to ignore us or at worst have a vendetta against us. I’m relishing the publicity Bolt is bringing to the club – we need all we can get to try to return to our former glory. Also – I think moving back to our true home at North Sydney Oval would go a long way too. The unpredictable nature of our Wallabies these days is strange. Being resigned to losses makes any wins sweeter, but I must admit I didn’t real feel good or bad after this game – just shock and confusion. Especially about what comes next for us. Nice yarn mate!